As a DJ, it will be absolutely essential to equip yourself with the best equipment. While some equipment is specifically designed for newbies, the DJ controllers from Pioneer are enormously versatile and truly suitable for anyone. This company is world-renowned. In fact, you probably have owned a Pioneer product at some point or another. If you were impressed with the company’s home audio lineup, you’ll be even more ecstatic with their DJ equipment. Below, you will learn more about the top DJ controller Pioneer products on the market. Pioneer has been manufacturing DJ controllers since 1994. At that time, the company released the CDJ-500, which was a first of its kind. The product featured a top loading CD player and this helped to push Pioneer DJ into the spotlight. In 2001, the company launched the CDJ-1000. They followed up their previous successes, by launching their first Pioneer DJ controller with a real-time scratch. From that point forward, this company has remained at the forefront of innovation. Every time they launch a new product, the company’s ingenuity is clearly visible. There is a unique design or the company has ingeniously added a new feature to their product. When you invest in a Pioneer DJ controller, you can guarantee you’re getting the latest features and the most innovative hardware. Purchasing a DJ controller from a lesser known company is very risky. You never know how well the company’s customer service will be. This is not a problem with Pioneer. The company is highly regarded for their tremendous customer support. Pioneer consistently delivers topnotch customer support, while also frequently launching software and firmware updates. This ensures that potential glitches are fixed rapidly and that your software always remains up to date. There’s always a risk that the product could have some issues but with Pioneer you’ve got your bases covered. While some DJ controllers are only designed for advanced DJs, Pioneer puts a great deal of emphasis onto versatility and accessibility. The company’s products are generally very flexible and capable of accommodating a variety of skill levels. If you’re an intermediate DJ, you shouldn’t have any difficulty finding a Pioneer DJ controller that matches your preferences. However, if you’re new to the hobby, the company will also have something to suit your needs. Regardless of your skill level they’ve got you covered. The company’s wide range of DJ controllers guarantees that they’ll be able to satisfy DJs of all skill levels. Finally, one of the best aspects of Pioneer DJ controllers is the durability. The jog wheels are always solid and will be able to take a great deal of wear and tear, without becoming inoperable. And of course, the knobs and buttons are all manufactured from the highest quality materials. With Pioneer, you can always maintain your peace of mind knowing you’re getting your money’s worth. These products can take a little tough love. Below, you will find a breakdown of the top low end DJ controllers from Pioneer. 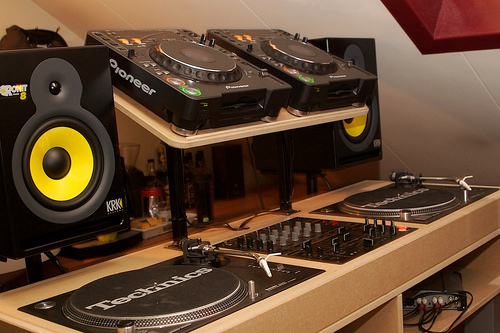 These products might be affordable, but they’re still suitable for many DJs. In general, they’re best designed for novice DJs and casual hobbyists. Nonetheless, these affordable DJ controllers will make a great learning aid, until you’re ready for an upgrade. An avid DJ relies on his/her gear to produce unique sounds. Without the right equipment, it would be nearly impossible to create perfection. The Pioneer DDJWEGO2W DJ Controller includes Software Virtual DJ Limited Edition, which will help beginners and veteran DJs mix music with ease. It is compatible with Mac and Windows operating systems. However it’s main selling point is being able to be used with an iPad or tablet instead of a laptop; offering more versatility. This is done through Algoriddim’s DJay app. 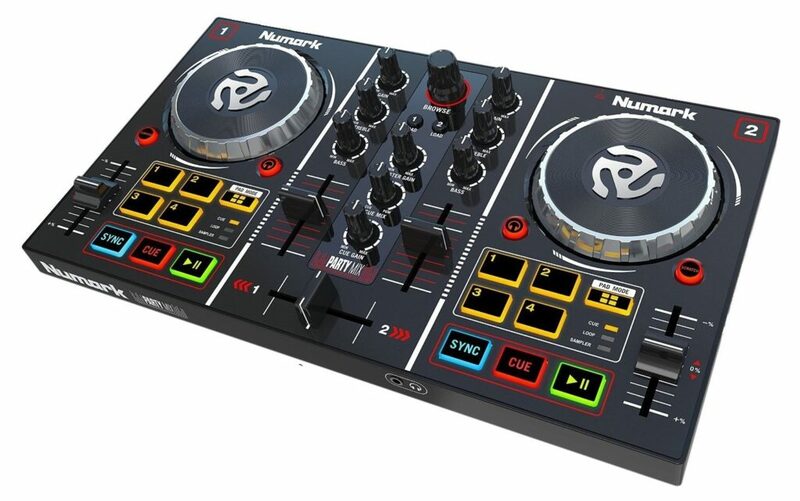 It also allows DJs to listen to a cued deck in their headphones, while the other is playing music unlike other controllers, which require an additional soundcard connection. The DDJWEGO2W also includes a USB cable and a deck, so you do not need to purchase any additional accessories for functionality. For a fully functioning set you will need a laptop or tablet, and a USB battery pack is suggested to maintain tablet power and deck power throughout longer shows. We also suggest looking into a WeCAi Cable also sold by Pioneer. 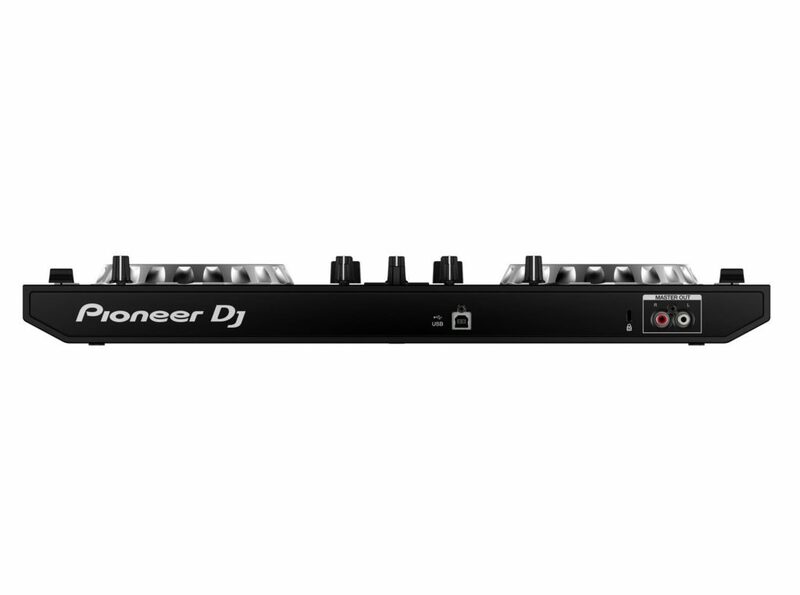 The Pioneer DDJWEGO2W is a high-quality DJ controller that will offer many years of service life. It has a built-in soundcard for extra storage. This feature will also save you a few bucks, since you will not need to purchase an external soundcard. The pulse control feature is great for beginners, it will provide visual prompts, by lighting up the job platters in a variety of colors. It doesn’t matter if you are a professional DJ or just like to dabble here and there, you need the very best equipment that can give you total control over your mixes. The very unique Pro DDJ-WeGO3-K DJ Controller is truly a work of art, because it provides an unlimited amount of musical choices. The controller can be hooked into a variety of different operating systems and ran in conjunction with other DJ software like Spotify or iTunes, which gives users an endless amount of mixing options. Everyone has to learn to mix and conjure up a beat. This can take years or practice, but with the Pro DDJ-WeGO3-K Pioneer DJ Controller it doesn’t matter if you are a pro or a beginner. In fact, this controller was designed with the novice DJ in mind, because the pulse control lights guide users through their performance and teaches them how to use the controls. However, don’t let that fool you. The controller is packed with tons of advanced features that a more experienced DJ can take advantage of. Regardless, of your skill level, the Pro DDJ-WeGO3-K DJ Controller can teach you or keep you entertained for hours. With the unique ability to connect the controller to operating systems and download DJ software, you really can take your mixes to the next level. The mid-range DJ controllers mentioned below are some of the best on the market. In fact, they’re both a great bargain for their respective price tags. They’re a big step up from the aforementioned models, yet they still will not break the bank. They offer additional features and more functionality, but they may not be suitable for professionals DJs. 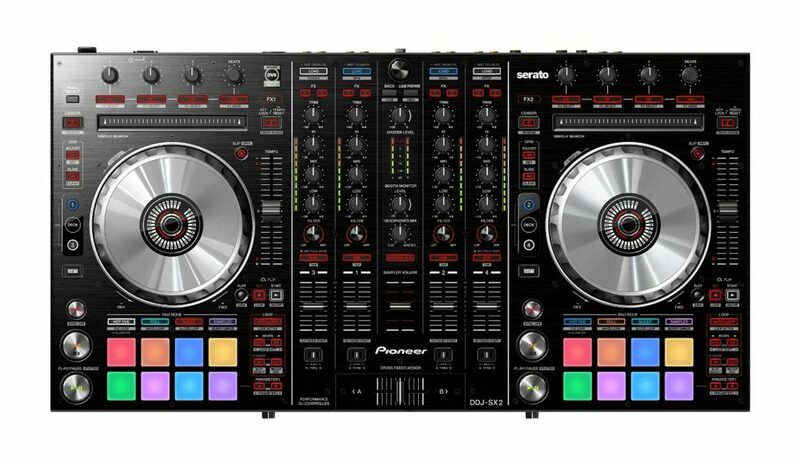 Pioneer has been making DJ controllers for a long time now, but they have truly outdone themselves with The DDJ-SB2. To see just what I mean check out my in depth DDJ-SB2 review. While the DDJ-SB2 does support similar features that can be found on the older style controllers, it does come with some new and exciting features, as well. For instance, the controller has now been upgraded with a 4-deck control and easy to access buttons that allow users to switch between different channels with ease. Another amazing feature that can only be found on the DDJ-SB2 is the trim knob and easy-to-read level meters, which allow DJs to master the input volume with ease. Along with this, the Pad Trans beat effects can actually help any DJ raise their skill level. The USB powered controller comes with its very own built-in soundcard and is compatible with a variety of operating systems. With the portable and solid design, the DDJ-SB2 is an ideal device for any DJ on the go. 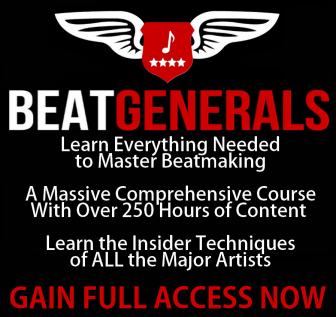 Regardless, if you are a Mac or Windows user you won’t have a problem finding a compatible operating system to mix your beats. You can check out my in depth DDJSR review here. Those looking for an outstanding device, which will not drain their bank account, should definitely check out the Pioneer DDJSR Pro. This specific product is equipped with 16 performance pads. They offer an abundance of unique features, including Roll, Slice, Sampler, and Hot Cue. The controller also features a new Pad Plus and an abundance of other new features. Truly, there is very little you cannot do with this controller. It is very versatile and offers all of the features you would expect for a higher-end model. It’s definitely a top Pioneer DJ controller with durable job wheels and numerous easy to use options. Another great aspect of the Pioneer DDJSR Pro is the fact that it comes with the Serato Software, which many believe to be the best in the industry. The full-version of the software helps to elevate the overall value of this controller, while ensuring the user will be able to push the device to their limits. It should also be known that the jog wheels on this particular device are very durable and perfectly responsive. You can guarantee each and every move you make will be perfectly translated to your computer. 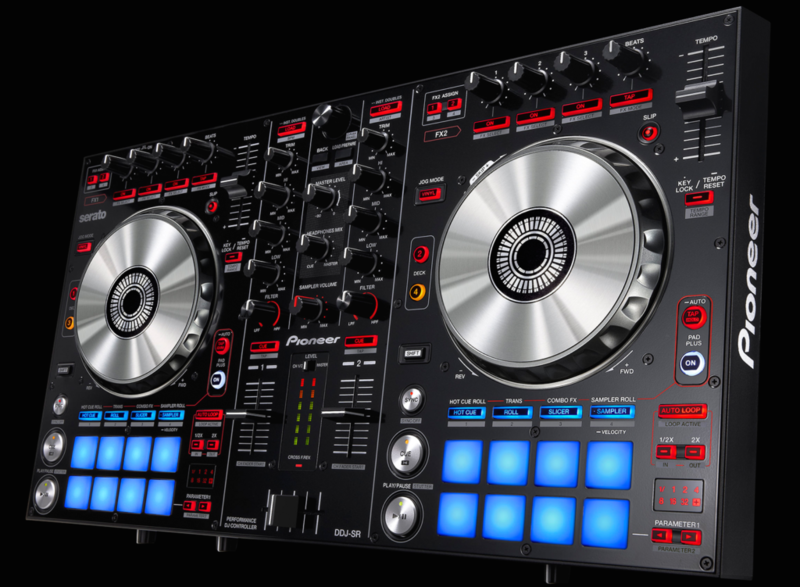 Truly, there is a lot to like about the Pioneer DDJSR Pro DJ Controller. The product is superbly made and will most certainly stick around for many years. The available features and effects are plentiful. Whether you’re a beginner or have just started taking your hobby serious, you will be well served by this controller! It should come as no surprise that Pioneer makes many different high end DJ controllers. While these products are very costly, they’ll prove to be well worth their price tags. They’re immaculate, durable, and offer an endless assortment of features and effects. Generally, these products are designed for advanced DJs, but they can be used by anyone with a little patience and practice. If you are a professional DJ that performs at live concerts, you will definitely need to add the Pro DJ DDJ-SX2 Pioneer DJ Controller to your equipment list. This controller is designed with the professional in mind, because it is embedded with premium components and features. The user will have full control of the embedded Serato Flip features, driving your mixing skills to the next level. It also has specific buttons that have been designated for the start, record and slot or store functions. The best benefit of the DDJ-SX2 is it provides DJs with the ability to record cue combinations and replaying them on a loop. In fact, the DJ can create 6 recordings of Hot Cue sequences and play them back at a later date. All in all, the DDJ-SX2 is definitely an impressive tool. It features aluminum jog wheels, which are very responsive. The native Serato flip will also prove to be a great addition for those that decide to stick with the Serato software. And finally, the controller is DVS upgrade ready. No matter what you wish to achieve, you can rest assured knowing the DDJ-SX2 will be able to help you achieve your goals. If you are a professional DJ, want to get the edge up on your competition, and take your mixing skills to the next level, you need to check out the DDJ-SZ DJ Professional DJ Controller. Of course, you are going to have to pay a bit more for this state of the art controller, but you will see that it is well worth the extra splurge. While the DJ DDJ-SZ is the most portable out of its counterparts it is still packed with tons of features that any professional or amateur DJ can take advantage of. The DJ DDJ-SZ comes equipped with large aluminum jog wheels, which provide the perfect response while you are scratching. Along with this, the illuminated cue point markers give users total control, without ever having to look down at the laptop. You literally can scratch your heart out. The DDJ-SZ is one of the most expensive controllers from Pioneer. Nonetheless, the product will prove to be a great value overall. It is truly leagues above its competitors and will be able to provide you with endless options and the best performance. If you’re serious about taking your hobby to the next level, this is definitely a product that can help you jump over that hurdle. 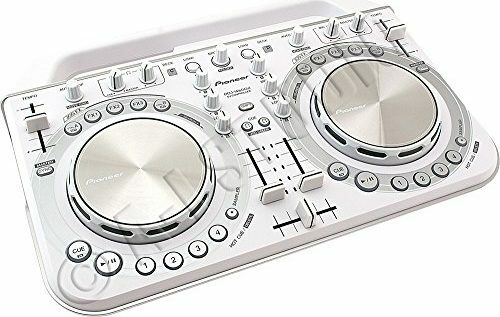 All in all, the Pioneer DJ controller for sale will undeniably satisfy the mass majority of DJing needs. These devices are suitable for beginners and even masters of the craft. Whether you invest in one of the low end or higher end models, you can rest assured knowing your money will be well spent. The question isn’t whether or not you should buy a DJ controller from Pioneer. With high quality products and top of the line support, the question is which model you should buy. When you’re just starting out in the DJ field you don’t want to go all out on equipment before you know if you’ll enjoy it. You should pick up a cheap introductory DJ controller to find out if it’s for you first. In this article I’ll go over some of the cheaper options for beginners. Each one of these DJ decks is chosen with the novice in mind, ease of use, and the best bang for your buck. If you’re willing to expand your price range a bit you can check out this full list of beginner controllers here. Out of all of the controllers on this list this is probably the best one for a beginner DJ striving towards professional play within this price range. The Mixtrack 3 is a cheaper alternative to the Mixtrack 3 Pro but has most of the controls and functionality. Learning how to mix, play and perform on this deck will allow you to play on anything. It’s surprisingly high quality for it’s price range. Some of the major advantages you’ll get learning on this piece of gear include: Loops, samples, hot cues, sensitive metal jogwheels and high precision audio adjustments (100mm Fader). I’ve done a full review of this fabulous piece of gear so definitely check it out. Out of the cheap DJ controllers in this list this one has the most features and is the best one for setting up your own dance parties. The controller itself is very user friendly and comes with all the features you’d need if you wanted to make DJing a major hobby in your life. It has an extremely simple interface that will let you learn how to beat match, mix tunes, and play around with cue sampling. If this is a little over your head right now you can also use the controllers auto-sync which gives a helping hand to make smooth transitions and guide your understanding. One of it’s surprisingly fun features is the light show. It actually has an LED array that allows for you to create some basic audio-visual displays for your DJ performance. This one is probably the most teen friendly as well. So you’re looking for a simple and easy to learn DJ controller. Perhaps you’re just getting into DJing and want to test it out, or trying to a find a great gift for a music lover in your life. Whatever your reasons you should look into the Hercules DJ Control Compact. It’s one of my favorite controllers for ease of use and one the best choices for a first controller. You can see my full review here which goes into all the features, strengths and weaknesses of the controller. The Hercules Compact is interesting because it’s jam packed with features but has such a simple design. It also comes with a full set of software which is rare for most controllers. The reason I chose this as my pick for easiest controller is because of it’s size and interface complexity. The controller itself is pretty small, meaning it’s easy to manage and you don’t have to shift your focus much to mix your beats. On top of that it’s extremely streamlined in its interface with only the necessities. It doesn’t have a lot of buttons to overwhelm newer DJs who are first starting out. For novices and intermediates it’s not much of a problem and you won’t feel restrained. Here’s a video of the controller in action. The controller itself is plug and play and comes with it’s own computer software. All you need to do is unbox the controller, install the program, plug in the USB cable, upload your music into the library, and start mixing. It’s also one of the cheaper controllers on the market and definitely blows the competition out of the water when it comes to features for it’s price. If you master this piece of gear you’ll be able to move on to a full professional controller without any issue. You won’t find yourself restricted very often with this controller and it can even be used for small shows. Its portability is really nice for setting something up on the go. It’s portable and packed with the necessities; all while being easy to learn. If you’re looking for an easy controller and looking to learn, this is the perfect fit for you. If you’re looking for something a little more complicated you can check out my guide on beginner DJ controller options. When you want to up your game you need to find a piece of gear that can bring you to the next level. 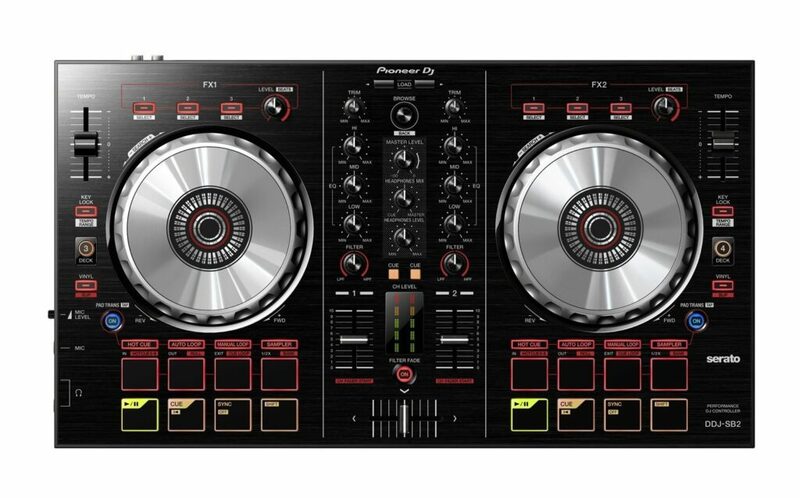 Pioneer does just that with the entry level professional DDJ-SB2 controller. It’s very beginner friendly but the features quickly set it apart as a professional DJ controller. As you get used to the device you’ll quickly find out that it’s above it’s price point. To take an audio term, it’s essentially a prosumer model. If I was interested in a high end professional controller I would take a look at the DDJ SR. With exceptional sound quality and an easy to accustom to layout you’ll quickly learn to use it to it’s fullest potential. The quality of the materials is to be expected of a mid tier controller. It’s made of plastic but has a feel of Pioneer quality and feels more like a portable piece of equipment than a permanent install. The DDJ-SB2 is a four deck controller and two decks share real estate on the device. It has two buttons on it to switch between the first and second deck on each side. This allows you to Cue up three different tracks and manage four at once. This alone pulls it out of beginner territory as it essentially doubles the complexity but also triples the capabilities of the controllers ability to create. With the four deck control it heavily outclasses competition at the price point. This isn’t totally unrestrained control though. The only issue found with this feature is that you can’t adjust both deck 1 and deck 3 (Or decks 2&4) at the same time because they share the same jogwheel, library, transport and mixer interface. The only thing you can adjust separately is the volume levels of each deck. Meaning you have to do some juggling and this adds a bit of a learning curve for new users. The real art happens once this toggle is mastered. Another interesting feature is the pad trans. This is a decent feature for the price point but common. Hot Cue lets you set PADs to a point and returns the track to that point, you get up to 8 on a deck. Auto loop lets you set a seamless auto loop for different beat amounts. Roll which allows you a momentary loop while held down. You can also set up a manual loop. You can also set up a sample bank for easy access to 8 samples. Letting you create and experiment with new beats in the moment. The DDJ-SB2 comes with the Serato DJ intro software which is a trial/limited capability software intended to get you started. This is one of the most important aspects of this purchase for customers. The software itself is a light software and an additional cost is found here. So in addition to the device you’ll need to buy an upgrade to get the most out of the hardware. In order to get the full use and capabilities of the SB2 controller you’re required to do paid upgrade to full functionality software. At the time of writing the full upgrade to Serato is $129 USD. This full upgrade solely works with the DDJ-SB2. Or you can opt for a subscription of $10 a month. 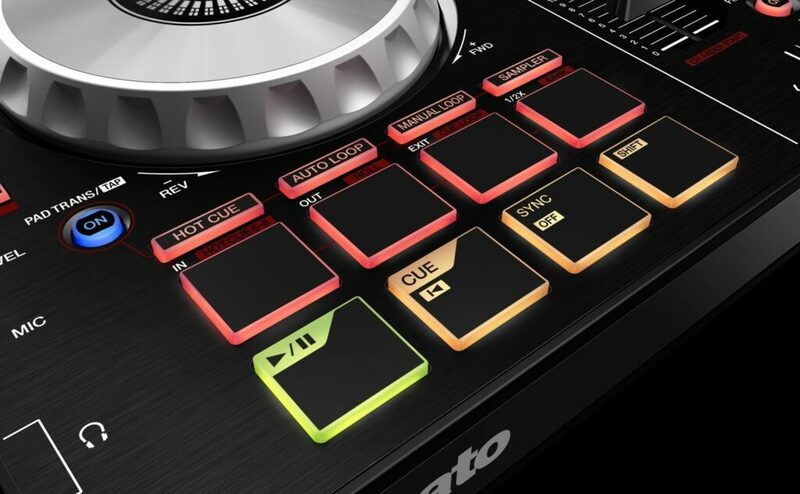 Another option is the Serato DJ Suite which works with all supported hardware that’s a controller that can be mapped. This is the premiere program of the company and it costs $299 or 14.99 a month. So if you’re intending to do a more complex studio or show build you’re going to want to go for a full license multiple hardware program, whether that’s Serato or another one. It’s highly recommended to use Serato and Pioneer with the device because it’s difficult to map to another program but if you have the technical skill you can easily do so and the SB2 integrates with DJay Pro (Mac), Licensed Vitual DJ8, Deckadance, Tracktor Pro 2, Algoriddim, Rekordbox. Most DJ programs can be mapped and have their own mapping templates set up for the DDJ-SB2 because it’s so popular. You have to download drivers for your laptop to integrate with the device allowing you to connect. The DDJ-SB2 hardware is excellent for it’s price range. At these ranges you’ll usually find hard plastic buttons. But this piece of gear has rubber pads which are much more responsive, quiet and durable than the hard plastic buttons found on cheaper controllers. High durability aluminum jog wheels mean it won’t break from overuse. These jog wheels are low latency and high accuracy, a perfect combination. They’re very easy to scratch with and they work great. The software and hardware communication is next level, meaning that even back-spinning and beat juggling sound professional. This also sports high and low pass EQ filters to filter out frequency bands on inputs. Allowing you to filter fade and easily control the volume and bass filters for mixing. The Numark Mixtrack 3 is comparable in these regards, but the SB2 keeps the crown. You can monitor and make transitions in your headphones with LED level indicators. It has tempo controls, and trim/gain controls. Has on controller metering for levels. While these may seem like trivial additions, they make for an extremely easier time. Trim pots allow you to set the level of the loaded track. Sometimes DJ software gets this wrong and this lets you fix that issue before it even hits the board. With the LED metering you’re capable of seeing exactly where your tracks sit and most controllers at this price point don’t have this capability. Note that these are for inputs and the songs running on their own. This doesn’t relate to the master output through the RCA ports on the back. That said it’s a huge plus and fixes the clipping problem before it starts. This controller is USB MIDI. The only issue with this is you need to be careful if using a USB hub because of Power Splitting. But as far as region compatibility this means it can work in both 110 and 220v power regions as long as you have a laptop because it just plugs into the laptop USB. This device only communicates with the computer through the USB, there are no ports to stick flash drives to bring portable media solutions. The onboard soundcard is an excessively high quality high bitrate 24 bit 44.1kHz sampling card. It has a standard 20-20kHz frequency range and a very impressive 90dB SNR. With an almost imperceptible distortion. The only thing that limits your sound quality on this piece of equipment is your recording software and the quality of the files input into the computer. It has a mic input but it’s a balanced 1/4 inch input over a standard XLR connection meaning you need an XLR to 1/4″ Cable. This means you can have one input into the device. You won’t be able to use it like a sound mixer with multiple channels. The mic input itself has trouble balancing without reaching feedback, so proper speaker placement is a must. For output it uses an unbalanced RCA. The main RCA output is for the signal. These cables are not included and need to be purchased separately. It has two headphone monitors, a 1/4 jack and a 3.5mm headphone jack. Only one output can be used at once disabling the second port. There is no master output volume on this guy which is difficult for gain staging and adjusting to the right output level. Pioneer did a home run with the DDJ-SB2 at every metric. The price point alone for the quality and the features makes this the top choice for controllers in it’s price range. An outstanding top of the line soundcard, only limited by files and sources. Mic input is not standard XLR? Also hard to control to not create feedback. Requires a software upgrade for integration with most software. No USB Data Stick integration. No metering on master output.